Today’s photo is of my most recent arrival – an Orvis Mirage saltwater reel. This thing is kind of a big deal for me, first because it’s my first proper saltwater reel and second because it blew an enormous hole in my bank balance and even that was at a great price! If there’s ever a time when I don’t mind paying for something though, it’s when you know the item is good and it’s going to do exactly what you want it to do and not let you down, I hope! I’m no saltwater guru in fact you wouldn’t be far off if you took my experience in saltwater as being at total beginner level. I’ve done a short bit in Australia and a little here in Scotland and that’s pretty much it. 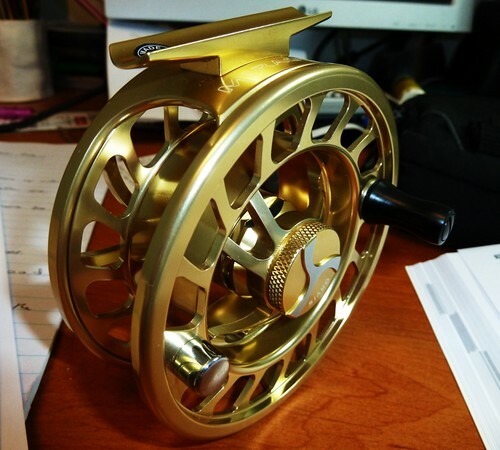 The main reason for buying this reel is that I’m planning on being back in the Souther Hemisphere towards the end of the year with my time split between trout fishing in NZ and saltwater fishing in Australia. You need a solid reel for the fish over there… Check out Jono Shales’ guiding business in Exmouth for loads of pictures and videos of the species around. Given my limited knowledge and lack of field testing there’s only a limited amount I can say about this reel, so here goes! I’m hoping to give it a run chasing some saltwater species here over the summer but I’m not going to encounter anything that will test the drag like the Aussie fish will! Maybe I’ll have a chuck at some pike with it too, same story though. Heck, I might as well just stick it on my 7′ trout rod and go fish small streams with it!! 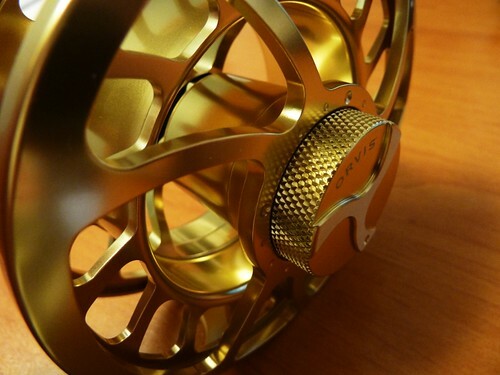 That is a very nice reel Scott and im sure it will be more than good enough for your trip to Aussie land. Here’s hoping something decides to test the drag! !